Top-of-the-line sunroom additions from the experts at U.S. Patio Systems and Home Remodeling can be great upgrades for homes in and around the St. Paul, Minnesota, area. After having one of our sunrooms installed, you will have a beautiful space where you can enjoy outdoor views from the comfort of inside your home. Whether you want to read a book using the natural light that filters through, or want to entertain friends in a room with spectacular views, you’ll be able to enjoy your sunroom. • Solarium – An all-glass ceiling and full glass windows will allow maximum sunlight to filter into your home. • California – This sunroom style is perfect for multi-story homes, and will bring a great deal of sunlight into residences. • Walls-only – If you already have a patio, we can install premium glass panels to convert your porch into an elegant sunroom. • Cathedral – The vaulted ceilings in this design make rooms feel spacious and extra roomy. • Conservatory – Featuring a classic European look, this sunroom is sure to impress. It also comes in a squared or faceted version. • Studio – This sunroom is always a popular choice, since it is compatible with one-wall, two-wall, and three-wall setups. In addition to being beautiful and stylish, our sunroom additions are also exceptionally durable and virtually maintenance free. This means that you will be able to spend more time enjoying your new home addition instead of worrying about its upkeep. Plus, our expert installers will ensure your new sunroom is installed in a timely manner, so that you can begin using your new space as soon as possible. 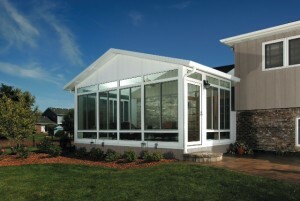 For more information about the sunroom additions we offer, contact U.S. Patio Systems and Home Remodeling today. One of our knowledgeable associates is available to answer any questions you have and can tell you more about all of the outstanding products and services we have available to homeowners in St. Paul, MN, and surrounding communities.